Southern-style rock tenor Chi McClean touches pure gold with the release of SOMETHING OUT THERE. The guitarist songwriter celebrates the debut of his new CD at San Francisco’s Cafe du Nord on Wednesday, March 4th. The recording is an amazing showcase of McClean’s diverse talents. Chi’s lyrics evoke the longing, frustration, and determination for a better “something out there” – including lasting romance and self realization. The melody lines are memorable on first hearing and harmonically beautiful throughout. Chi’s gift with the guitar and instrumental arrangements – which include electric piano, organ, and cello – support his story-telling and boost the attractive and compelling qualities of his vocals. In addition to the title song, at least three others make this album a must-have. In the days of 45s – Track 6, “Rocketship” would be a strong choice for side B. Great examples of engineering and clear separation are heard in Track 3, “Sign Me Up” and Track 8, “Hard As I Try”. In Track 9, “How Long (has this been going on)”, Chi McClean proves his multiple talents and his outstanding appeal as a live concert artist. Fans of the classic San Francisco-based rock band THE TUBES will recognize the contributions of Bill Spooner to this winner recording. Acoustic rock singer/songwriter Chi McClean left his native New York in a beat-up truck in search of a change. His cross-country trek brought him to San Francisco, Calif., which ultimately led him to the realization that there's "something out there" for everyone - and for him it was his music. San Francisco turned out to be an inspirational backdrop for the Northern rocker with a Southern-style. It was there that he began to develop an honest, introspective approach to his songwriting. McClean, who is a huge fan of 1960s rock, puts his own unique spin and contemporary flair to his songs. He recently released his new album "Something Out There" this year, which is being described as melodic and soulful. His technique includes complex guitar riffs, solid drum beats, upright bass playing all the while incorporating gritty B-3 organ and vintage electric pianos. He stopped by "The Early Show Saturday Edition"'s "Second Cup Cafe" to perform "Something Out There" from his debut album of the same name. 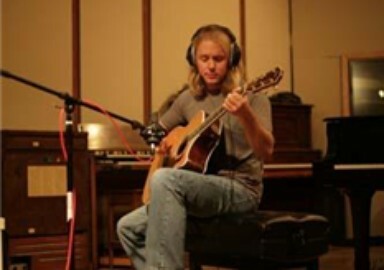 McClean's influences include, Jimi Hendrix, The Black Crowes, Free, The Faces, and The Allman Brothers. "Something Out There," was recorded in San Francisco at Flying Kitchen and Sausalito at Studio D by Boone Spooner, mixed in Los Angeles by Kevin Shirley (The Black Crowes, Led Zeppelin, Joe Bonamassa) at The Document Room, and mastered in New York by Ryan Smith (James Taylor, Joe Bonamassa, O.A.R.) at Sterling Sound. 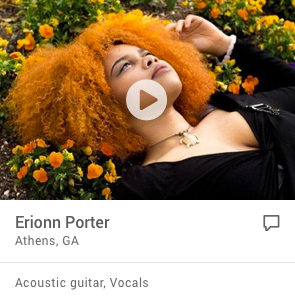 Chi writes acoustic rock songs marked by a haunting Southern style. Many of his songs take a straightforward look at love, loss, and in the end, opportunity. Influenced by Jimi Hendrix, The Black Crowes, Free, The Faces and The Allman Brothers, Chi’s music borrows from the classic tones and song structures that formed the pillars of the 1960’s rock scene while presenting listeners with a contemporary and wholly unique perspective. Something Out There, Chi’s debut album released in 2009, was recorded in San Francisco, CA at Flying Kitchen and in Sausalito, CA at Studio D by Boone Spooner, mixed in Los Angeles, CA by Kevin Shirley (The Black Crowes, Led Zeppelin, Joe Bonamassa) at The Document Room, and mastered in New York, NY by Ryan Smith (James Taylor, Joe Bonamassa, O.A.R.) at Sterling Sound. The album is often described as melodic and soulful, drawing on complex guitar riffs, driving drum beats, colorful bass lines, and gritty layers of Hammond B-3 organ and vintage electric pianos. 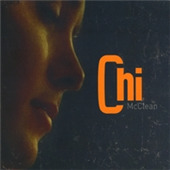 Since the release of Something Out There, Chi McClean has won a number of songwriting and performance awards for his music and has received critical acclaim from a variety of publications including the San Francisco Chronicle. Chi’s newest release, A Thing Or Three, is a live, in-studio, solo-acoustic recording that delivers the feeling of an intimate, living room performance. Recorded by Grammy nominated engineer and producer Cookie Marenco (Tony Furtado, Kelly Joe Phelps) at OTR Studios in Belmont, CA in a live, Extended Sound Environment (ESE) without the use of headphones, auto tune, or a metronome to Direct Stream Digital (DSD), A Thing Or Three captures the authentic, full dynamic range of Chi’s live performance at the highest audio fidelity possible. Officially released to fans at Café du Nord in San Francisco, California on Thursday, March 8th, 2012, A Thing Or Three is already making waves with acoustic music lovers and audiophiles worldwide. Chi is actively playing shows to promote Something Out There and his newest release A Thing Or Three and has performed live on several television and radio broadcasts including a live, in-studio performance on the nationally televised CBS program The Early Show. In addition, Chi’s music is currently featured on Virgin America’s in-flight entertainment system for all national flights throughout the United States and is available on iTunes, CD Baby, Amazon, DownloadsNow! and Pandora internet radio. In between performances, Chi is currently writing and recording for his third, full-length album, scheduled for release this 2012. Chi proudly plays Taylor Guitars and Elixir Strings and is a member of West Coast Songwriters, Nashville Songwriters Association International, and Folk Alliance International. For tour dates or to listen, watch, and learn more, visit www.chimcclean.com. Chi McClean's typical set list includes most of (if not all) the twenty tracks from his debut release "Something Out There" and his solo acoustic release, "A Thing Or Three". Depending on the length of the set required by the venue (eg: if it needs to be longer than an hour or two hour set set), Chi always enjoys the opportunity to perform new original material slated for the next full-length album while occassionally taking a fresh approach to an old cover.